On Saturday, March 20, 2010, the 24th Annual Genesis Awards will be held at The Beverly Hilton in Beverly Hills, California. Every year, the Genesis Awards celebrate entertainment media that has raised awareness for animal issues. The event includes cocktails, a vegan dinner, award presentations and a silent auction. 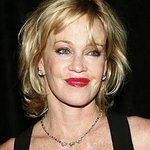 The Lifetime Achievement Award will be presented by Melanie Griffith to her mother Tippi Hedren. Films such as The Cove, Up, and Hotel for Dogs are nominated for their film awards. Other awards include: Dramatic Series, TV News Magazine, News Series, and Reality Series. The line up for presenters this year include: Jon Lovitz, Teri Hatcher, Kaley Cuoco, Kristen Bell, Emily Deschanel and Melanie Griffith. Tickets for the event start at $350 individually and go up to $50,000 for a ten-person table. More information on the Genesis Awards can be found here.